With the massive growth of smartphones and tablets, online casinos are keeping up to date with the latest technology to ensure New Zealand players can access favourite games using a variety of online apps. Some utilise the popular app systems, while others allow for the lesser known Web or browser apps. There are two different types of apps; native apps and Web apps. Native/market apps are the ones most mobile users are familiar with, like the Royal Vegas Casino market app detailed below, while Web apps remain uncharted territory for most online casino players. We look at the difference between the two, opening up a world of new options for online gamblers in New Zealand. All games via market and Web apps can be played in practice mode (free). Install Royal Vegas Casino’s app for smartphones & tablets by tapping on the appropriate button above. Note: The Royal Vegas Casino market is is branded Regal Vegas Casino in all app stores for marketing purposes. This is the correct real money application to install. 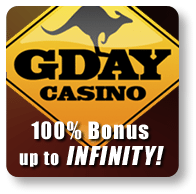 Or tap any of the below ‘instant play’ buttons to be taken to the mobile-compatible casino, directly via your Web-browser, and create a Web app once loaded. Every New Zealander who owns a smartphone or tablet is all too familiar with the concept of a “native app”, you know the one’s I’m talking about – where you log into the App Store on your iPhone or Google Play on your Android, click on the app you wish and download the software directly to your phone or tablet. What most people don’t know is there is an alternative to these downloadable apps, known as a “Web app” (or a “browser app”). A Web app is any application software offered online through a Web browser, designed and supported in programming language like Java, Flash HTML5 and CSS, and parts of the software are downloaded via the Web each time the application is opened. While the interface can be near identical, especially for mobile casinos, the Web app is compatible with more devices and provides more options, as there are a limited number of native/market casino apps currently on offer to New Zealanders. Android Devices – these vary, but generally consist of accessing the in-browser settings by clicking the circular arrow symbol in the URL field and scrolling down to select the ‘add to home screen’ option. Apple iOS Devices – locate the ‘action’ button which is the circular arrow symbol or square with upwards arrow symbol, directly above the home button of the phone and select ‘add to home screen’. 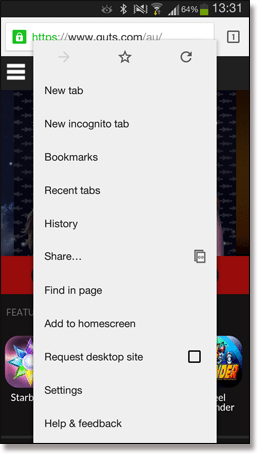 Other Mobile Devices – how to access the in-browser settings will vary between devices but all you need to do is locate this option in your device and select the ‘add to home screen’ option. Following these steps will effectively create the Internet based casino you want as a browser app, which will now appear on your home screen with an icon for instant access, similar to how a native app would appear. You now have your very own Web app for your favourite casino for instant play pokies, blackjack, roulette, baccarat and many more games. The Royal Vegas Casino app remains one of the few native apps currently on the market for secure, real money online casinos. This fabulous app is ready for New Zealanders to download to any iOS, Android or other smart device, with an impressive list of 80+ mobile games available to play, with more titles being added every day. Using the RVC app, you will find a great range of mobile casino games including classic table games like blackjack and roulette, with traditional pokies and progressive jackpot slots that maintain the graphic beauty of desktop play. New Zealanders have the peace of mind in knowing the Royal Vegas Casino App is 100% legal and is fully certified by the Lotteries and Gaming Authority of Malta. Big name games can be found on this awesome app including Game of Thrones (15 payline and 243 ways), Avalon II, Tomb Raider, Immortal Romance, Atlantic City Blackjack, European Blackjack Gold, European Roulette, Major Millions, Mayan Princess and Mega Moolah. Native casino apps are on the rise as mobile technology continues to expand, but so too are Web apps which offer a fantastic way to play casino games – and developers are continually improving these browser formatted applications which are predicted to play a large role in the future of mobile applications. Are NZD Mobile Casino Apps and Online Gambling Legal? Many New Zealanders have voiced concern about whether or not it is safe and legal to use online casino apps and gamble for real cash, and the answer to that is a big yes. It is perfectly legal and above board for New Zealand players to play casino games with real cash on mobiles and tablets via international casinos. The New Zealand government has spent significant time considering the issue of legality for online gambling – and while operating an Internet gambling site within New Zealand borders is prohibited, it is not illegal for someone in New Zealand to gamble using credited and regulated offshore sites (those outside New Zealand). All of the online casinos recommended on our site are 100% legal and trusted and follow all the laws and regulations of their country of establishment. New Zealanders can rest assured any real money bets they place at these casinos are entirely safe and legal. A majority of New Zealanders are carrying around some kind of mobile device, whether it be a smartphone or tablet or an older-end date-enabled device (WAP-based), so all you need to enjoy your favourite casino games from an app anywhere in the world is a good Internet connection to go along with your device, whether it be Wi-Fi, 3G or 4G. 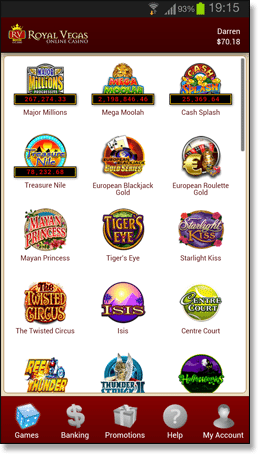 The Royal Vegas Casino app and Web apps are compatible with and can be played over a range of devices including Apple iOS, Google Android systems (LG, Samsung, Motorolla, HTC, Sony Ericsson, etc), BlackBerry, Nokia and MS Windows. The main difference between native apps (like the Royal Vegas Casino app) and Web apps is a Web app is processed via the Internet and does not store any hardware on your device. Direct Bank Transfers – ANZ, Commonwealth Bank, NAB, Westpac. Credit Cards – MasterCard, Maestro and Visa. Pre-Paid Services – Visa and MasterCard debit and pre-paid cards, Ukash. E-Wallets/Web Wallets – Skrill (Moneybookers), Neteller, ECOCard, Entropay, and ClickandBuy. Casino apps offer an exciting way for New Zealand players to access their favourite online casinos, with Web apps allowing for quick mobile play over all data enabled devices. App-based play is an ever-growing gaming movement and we are definitely excited about what the future has in store.